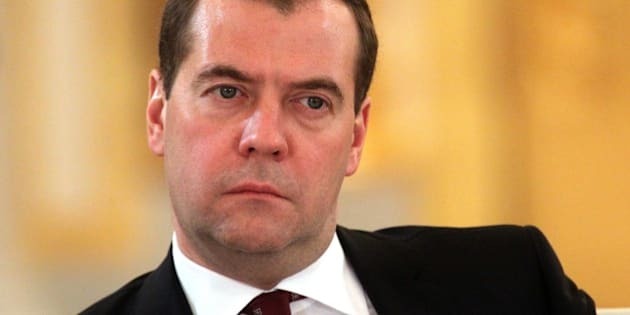 MOSCOW (AP) -- Russian Prime Minister Dmitry Medvedev has warned that the country faces a risk of a "deep recession'' if the government ditches its spending plans. With oil prices sliding, Russia's energy-dependent economy is suffering. One manifestation of that has been the sharp fall in the value of the ruble. The currency is the worst performing currency this year, along with the Ukrainian, hryvnia, having lost nearly half its value.